In this digital age, Programmatic marketing is seen as the future of advertising on the web. In Asia Pacific, programmatic is no longer a buzzword but a media shift that needs to be understood and successfully deployed by all stakeholders in media to stay ahead. 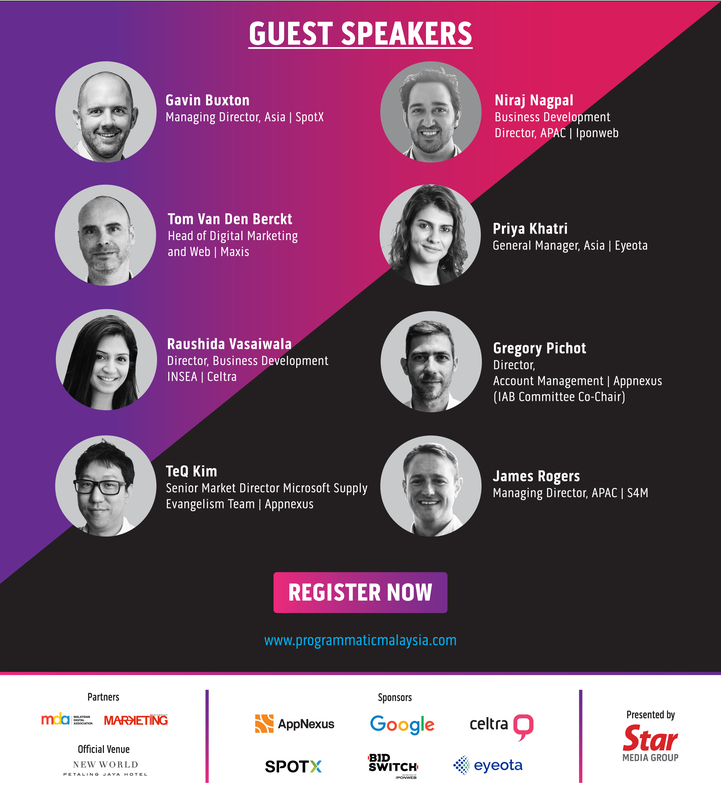 This conference brings together leading industry stalwarts, expertise from ad technologies and most importantly, the buyers and sellers that fuels the programmatic economy to discuss topical issues that are facing the programmatic ecosystem. Download the Manual Register Form Here. With plenty of cross industry learning and networking opportunities, Programmatic Malaysia 2018 is the perfect place to build a professional network, find business partners, and generate new growth ideas.